At BingoSpirit they are making it an extra Holly Jolly Xmas Spins Holiday season with 20 free spins on the irresistible Jolly Gingerbread video slot every Tuesday in December! ‘Tis the time of the year to rejoice with joy playing our festive Jolly Gingerbread slot. Filled with festive fun, there’s a special Bonus Round filled with Gingerbread cookies that reveal hidden cash prizes, while wild symbols generate sweet wins directly from Santa’s workshop! 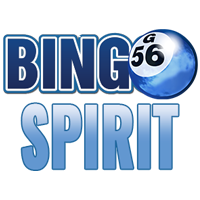 To claim your 20 Free Spins to play Jolly Gingerbread, simply fund your Bingo Spirit account with a single deposit of $50 or more between 12:01AM EST and 11:59PM EST on any Tuesday in December and select to receive our fantastic Universal Bonus. Not only will you receive a fabulous Universal Bonus to play all the great games, you’ll instantly receive your 20 Free Spins to play our Jolly Gingerbread video slot. Free Spins can only be claimed once on each Tuesday in December and are only available from players 4th deposit onwards. New players will receive the advertised new player offer of fantastic reload bonuses on their first, second and third deposits.